In stock -This product will ship today if ordered within the next 1 hours and 55 minutes. A contemporary lunch box design inspired by traditional Japanese bento boxes. It`s great for sushi, but also for pasta, couscous or rice salad. It`s the perfect size for carrying in a handbag, tote or laptop bag, so there`s no excuse for not taking your own lunch with you. Includes sauce pot, inner dish and `fife` (fork and knife combination). Microwave and dishwasher safe. 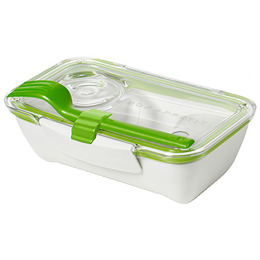 Below are reviews of Black+Blum Bento Box Lunch Box Lime by bodykind customers. If you have tried this product we'd love to hear what you think so please leave a review. 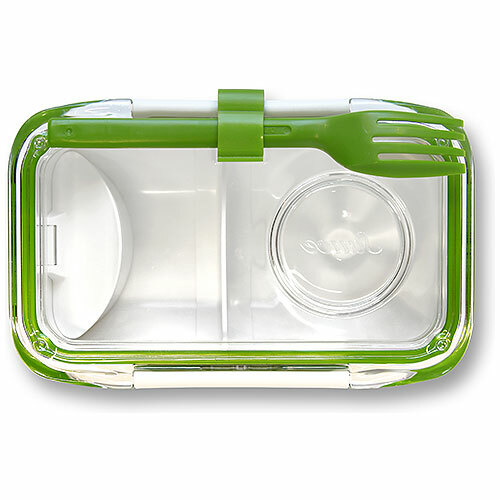 A contemporary lunch box design inspired by traditional Japanese bento boxes.